Size : 2.2 x 3.2 inches. / 5.5 x 8.2 cm. 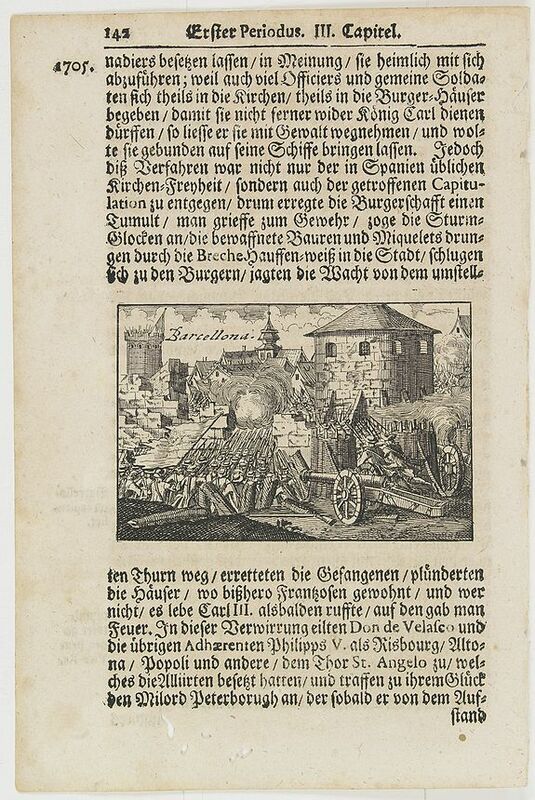 Description :A page of printed text in German with an engraving of an attack on the city of Barcelona. Condition : Some slight marginal water staining and plate marks. Minor discolouration due to the oxidation of ink from an adjacent text page. Many worm holes along the lower margins. Else a good and dark impression.